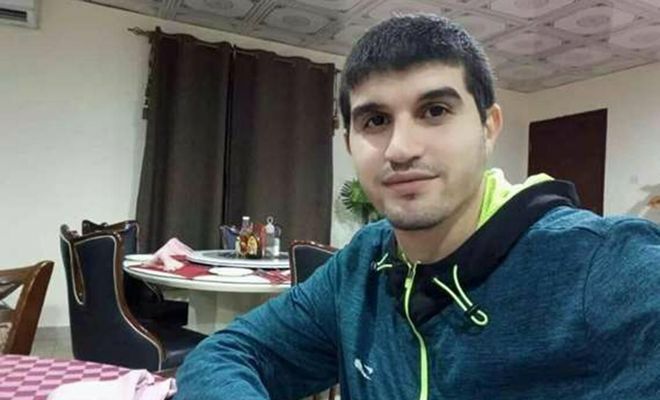 Muhammed Abdul Hafez Hussein, who was sentenced to death by the putschist Sisi regime, and arrived at Istanbul Ataturk Airport on January 18, has been extradited to Egypt. A picture shared on social media showing the rear-handcuffed death convicted Hussein sitting in the plane, revealed the extradition procedure. Despite the fact that Hussein repeatedly expressed that he is a member of Ikhwan (Muslim Brotherhood) and that there is a death sentence on, his request was denied and he was handed over to the putschist Egyptian regime. Upon uproar on social media, an investigation was launched upon eight lower-rank policemen involved in the extradition procedure. Not enough of the scandal, it turned out that an airport cleaning personnel, M. Emin Celik, was arrested and put in jail, for supposedly publishing the photo. Finally, he was released again upon reactions on social media under the hashtag #BenCektim (I took the picture). If that photo was not taken, the deportation of a Muslim convict to the Sisi regime would not have been revealed. Abdul Hafez is neither the first nor the last to be sent from Turkey to his death sentence. Thousands of Muslims who took shelter in Turkey were sent to slayer regimes before, and still are continued to be sent. Repatriation centres are full of Uzbek, Kirghiz and Uyghur Muslims. Beside this, Turkey is a country that is frequently visited by Russian intelligence service members, who come and go after assassinating Chechenian Muslims. Moreover, this country is such a country that just watched the murder of a journalist in the Saudi consulate, despite monitoring it step-by-step through the intelligence service which even possessed voice and video recordings. Turkey also kept silent while the killers left as they came, but asked afterwards where the corps is and demanded the murderers to be sent back. President Erdogan keeps holding forth that “Turkey is a safe house for the oppressed”. What kind of a safe house is this that hands over the oppressed to the rope, or to their assassination, or slaughter? This state(!) is unwilling/unable to protect these oppressed! Was Turkey not the safe house? It’s not a secret and doesn’t surprise anybody that President Erdogan’s words and deeds do not match! He exploits the Palestine issue but makes agreements with Israel, he supports Mursi in Egypt with the Rabia symbol and then exchanges the meaning of the symbol with the Kemalist political view, he hands over the “death row convict” Abdul Hafez to his death. He publicly protests the Assad regime, who is the slaughterer of at least one million people but collaborates with Russia, America and Iran, which are the supporters of the Assad regime. He handed over Aleppo to the regime and is now looking for a new deal about Idlib. And he will give away the whole of Syria through the Adana agreement. Erdogan introduces a new definition for Foreign Minister Cavusoglu’s statement of “we have indirect contacts with the Syrian regime”, through his words of “a low-level foreign policy”, thus admitting that relationships with the Syrian regime are upheld through the intelligence. Is it possible that the extradition procedure of Abdul Hafez is also a result of the “low-level foreign policy”? Erdogan surpasses many artists in acting. He sheds tears for the widowed women of Palestine, the orphans of Syria, the Rohingya and Yemeni Muslims, but instead of abolishing the persecution, he is collaborating with the murderers. The tears he sheds are so similar to the tears of a crocodile enjoying its prey. Who will be taken to account for Abdul Hafez? Today, you can disguise the situation by judging eight policemen or by making pressure on the media. You can deceive this persecution with your troll armies. But, what are you going to do at the Day of Judgement?